(Puerto Vallarta, Enero 2018) La Oficina de Proyectos Culturales tiene el honor de presentar la exhibición de arte contemporáneo”El Fin del Gran Relato”, que investiga cómo se define Cuba en 2018 desde dentro y hacia fuera del país. ¿Hay una nueva apertura o cambio real, o en realidad las cosas son mucho más difíciles? OPC trabajó con el curador Henry Eric Hernández y la Galería Taller Gorría para producir esta exposición que invita a la reflexión con 12 artistas establecidos y emergentes de Cuba. El proyecto también incluye un documental de Mary Koruga y Arturo Montero quienes realizaron entrevistas en Cuba con todos los artistas participantes. El grupo de artistas seleccionados son: Ángel Delgado, Carlos Garaicoa, Celia-Yunior, Ezequiel Suárez, Henry Eric Hernández, Isabel Cristina y Laura Pérez Insua, Jorge Luis Marrero, José Ángel Toirac, Los Carpinteros, Manuel Alcayde Majendié, Reynier Leyva Novo, y Yornel Martínez Elías. El fin del Gran Relato es posible gracias al generoso apoyo de William Hobi, la familia Barlow y otros benefactores. Agradecemos a nuestros patrocinadores: Instituto Vallartense de Cultura; Cerveza El Terrible; Autoservicio La Playa; El Patio de Mi Casa; y Hotel Villa Mercedes. El programa público de esta exposición es posible gracias al apoyo de Fundación Jumex Arte Contemporáneo. (Puerto Vallarta, January 2018) The Office of Cultural Projects (Oficina de Proyectos Culturales) (OPC) has the honor to present the contemporary art exhibition The End of the Great Tale which investigates how Cuba is defined in 2018 from inside and outside the country. Is there a new openness or real change, or is it really much more difficult for artists? OPC worked with curator Henry Eric Hernández and Galería Taller Gorría to produce this exhibition that invites reflection through 12 established and emerging artists from Cuba. The project also includes a documentary film by Mary Koruga and Arturo Montero who conducted interviews in Cuba with all the participating artists. The participating artists include Ángel Delgado, Carlos Garaicoa, Celia-Yunior, Ezequiel Suárez, Henry Eric Hernández, Isabel Cristina y Laura Pérez Insua, Jorge Luis Marrero, José Ángel Toirac, Los Carpinteros, Manuel Alcayde Majendié, Reynier Leyva Novo, and Yornel Martínez Elías. Curator Henry Eric Hernandez says that each one of the artists interprets the idea of Arthur C. Danto who emphasized that where there is no narrator there is no history. Each of the artworks in this exhibition is a narrative sentence that brushes against a gesture, an event, a circumstance, components of, even if the origin is of the most intimate or personal detail, it forms the image of the great national tale. Much has been said, inside and outside Cuba of “openness” and “change.” This has delineated an imaginary in which, without having defined the Cuban system as totalitarian, it is committed to the continuity of its authoritarianism, propped up this time by the free market economy. An imaginary in which, if we look for example at the art plot and more specifically at its more informed critical narration, we see that it still discusses production around the concept of utopia; never in relation to the term totalitarianism. Therefore, the exhibition The End of the Great Story serves as a pretext to discuss the Cuban context from and towards the frameworks of totalitarianism. Henry Eric Hernandez (Camagüey, 1971) is a visual artist, social researcher and teacher, who has obtained a Doctorate degree from the Complutense University of Madrid and graduated from the Higher Institute of Art of Havana. His work, from a trans disciplinary scope, interrelates the relationship between historical narratives and power; because of this, his production turns out to be an extensive work in progress whose results range from interventions and documentary films, to installation ceramics, graphic production, and book publishing. Henry Eric has obtained scholarships from The John Simon Guggenheim Memorial Foundation; The Pollock-Krasner Foundation; The Christoph Merian Foundation-International Exchange Studio Program; The Shigaraki Ceramic Cultural Park; and The Botin Foundation Fine Arts Scholarships. He has also participated in group exhibitions such as Puro Cuba, Annenberg Space for Photography; While Cuba waits. Art from the Nineties, Track 16 Gallery; the IV Biennial of Valencia-Biennial of Sao Pablo and the Biennale di Ceramica Nell’Arte Contemporanea, II Edizione, Albisola Mare. Perceval Press has published his books La revancha (2006) and Otra isla para Miguel (2008); and recently, Almenara Press-Leiden published his book Martyr, leader and pachanga. The cinema of political pilgrimage towards the Cuban Revolution (2017). Oficina de Proyectos Culturales (Office for Cultural Projects) (OPC) is an independent non-profit arts organization dedicated to fostering dialogue through exhibitions, round table discussions, public art and arts education programs. OPC works with artists, architects, curators, academics, and writers who explore ideas that shape our city and to develop cultural programming that is firmly rooted in Puerto Vallarta, yet international in scope. 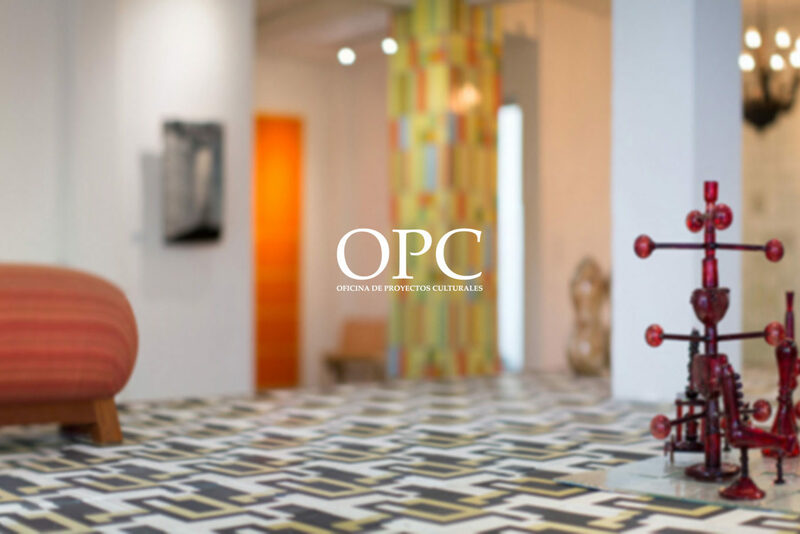 OPC is born with the aim of contributing to the reflection on the contemporary sociocultural and artistic environment and with the vocation to share with Puerto Vallarta and its visitors. The End of the Great Tale is possible thanks to the generous support of William Hobi, the Barlow family, and other benefactors. We thank our sponsors: Instituto Vallartense de Cultura; Cerveza El Terrible; Autoservicio La Playa; El Patio de Mi Casa; and Hotel Villa Mercedes. The Public Program for this exhibition has been made possible thanks to the support of Fundación Jumex Arte Contemporáneo.